What is a Wonder of the World? The Wonder of the World (otherwise known as a World Wonder or WW) is as wonderful as it sounds. This “building” is built in order to win the server. Each level of the Wonder of the World costs hundreds of thousands (even millions) of resources to build. For specifics on build times and costs look below. As you can see by the building costs, a single player could not build a Wonder of the World on his own. In addition, it is very unlikely that a single alliance would be able to complete a Wonder of the World. The reason for this is not only the amount of resources needed, but the number of troops needed to defend the village. In T4, the Natars are present in the game from the very beginning. They will originally occupy 8 villages outside the gray area (with 50% more defending troops in them) and 6 villages in the gray area in the center of the map, but they can expand their empire. Notably, the deleted villages of other players will convert into Natarian villages, so they can also inhabit territories outside of the gray area. However, out of all these villages, only 14 are Wonder of the World villages. Beside the Natarian capital (which will always spawn at 0|0 coordinates) any of the Wonder of the World villages can be conquered and subsequently used to construct the fabled Wonder of the World. None of the Natarian Wonder of the World villages have walls or residences/palaces. This is extremely important to note if you plan on conquering a Natar village. Great time and resources can potentially be lost if catapults are sent to Wonder of the World villages with the intention of destroying a residence/palace. Gold cannot be used in this village for anything whatsoever. No NPC, and no insta-build. However, two Wonder of the World levels can be queued at any given time. Also, the Wonder of the World can be named when it reaches level 1. There have been some epic Wonder of the World names and some really crappy ones, so choose wisely. The name cannot be changed anymore after Wonder of the World reaches level 11. Wonder of the World villages do not produce any culture points. So if a player conquers a Wonder of the World village, that village will not produce any culture points, regardless of the buildings the player may build. The construction times in the Wonder of the World villages are half that of a normal village. 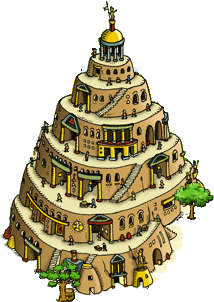 After construction plans appear in the game, units in Wonder of the World villages will consume only 50% crop. Natar plan villages, also known as Natarian Oases, are the villages that house the Wonder of the World Construction Plans. These villages (they are villages, not oases) spawn at a predefined time after the start of the server. The plan villages spawn randomly but each quad receives a certain minimum number of these villages for fairness. You can take over a construction plan in the same way you can take over artefacts from the Natars or later also from other players. An announcement will be made to the entire server upon login that the Natar plans have spawned on the server. WW plans are extremely important. In order to begin building a WW in a WW village, the player who owns the WW village must first have a WW building plan. A single building plan will allow the owner of a WW village to build the WW all the way from level 0 to level 49. However, in order for the player to build the WW past level 49 through level 100, another player inside the WW holder's immediate alliance MUST own a second WW plan. This can be ANY other player inside the alliance. It will not work after level 49 if only the builder has two plans, those count as one plan as they are in same account. The plans have to be active construction plan artifacts, inactive ones will not work. 1. The player who is going to take the plans MUST have a level 10 Treasury in the village they are attacking out of. 2. The Treasury of the village the plans are being held in (either held by the Natars or another player) MUST be destroyed before the plans can be taken. 3. A Hero sent from the village with the level 10 Treasury must survive the attack after the enemy Treasury is destroyed, because only a Hero can carry a Wonder of the Worldonstruction plan. This can be done at anytime and in any logical order. One person could clear the enemy plan village, a second person could destroy the enemy treasury, a third person could send a hero from a village with a level 10 treasury and take the plans. Or, one person could do it all. A player builds a Wonder of the World level 100. The Natars, who will start building their Wonder of the World at a set amount of days after the server started, build their Wonder of the World to level 100. After reaching level 75, every Natarian warrior is needed, so there is no one left to attack competing Wonder of the Worlds which belong to any other player.